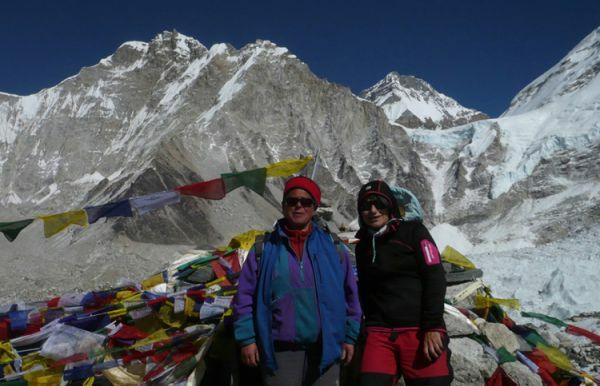 Dudhkunda Pikey hill trekking is one another newly opened trekking destinations in Everest region. Pikey hill (4,100 m.) which is regarded to be the hills located at the highest point in Solukhumbu and is believed to be one of the perfect place from where you will be able to see the clear views of all 8- the highest peaks over 8,000 m in Nepal namely of Mt. Everest (8,848 m), Mt. Kanchenjunga (8,586 m), Mt. 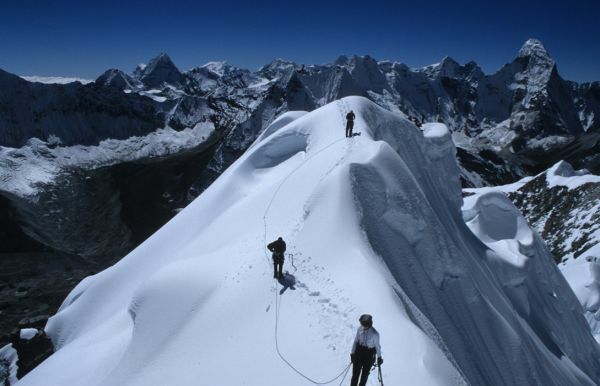 Lhotse (8,516 m.), Mt. Makalu (8,463 m.), Mt. Cho Oyu (8,201 m.), Mt. Dhaulagiri (8,167 m.), Mt. Manaslu (8,163 m.) and Mt. Annapurna (8,091 m) and a number of other peaks located in Everest region. Therefore, Dudhkunda Pikey hill trekking is regarded to be popular trekking trails primarily for exploring white-mountains, natural wonders, diverse culture, lifestyles of various ethnic groups residing along the trails namely of Sherpa, Khaling Rais, Tamangs, Magars, Sunuwar, Gurungs to name a few, flora and fauna. You also can extend the trekking to sacred lake side called Dudha Kunda (milky lake) which is regarded to be one of the sacred pilgrimage site located in the Everest region. It is believed that if one makes a visit to Dudh kunda and takes a dip into it, he or she is freed from the sin. One another belief is that if childless couple visits to this Kunda, they will have children. The sacred lake Dudh kunda lies on the lap of Mt. Numbur, which is regarded to be the home of the protective deity in Solukhumbu district, therefore, many Nepalese visit to this holy lake every year. Pikey hill trekking begins with one day drive from Kathmandu to Jiri and then continues the trail through Goli Gompa and finally reach at Pikey hill (peak) and continues to Dudh Kunda, the lake located at the highest point in Solukhumbu region and making exploration around the trail continues to Phaplu airport and then you will fly back to Kathmandu. Day 01Arrival Kathmandu transfer to HotelUpon your arrival in the Kathmandu airport (TIA) you will be greeted by Nature Adventure Trekking Company. After completing your custom formalities (Visa, etc) pick up, you will be transferred to Hotel. Later in the evening we will organize a Welcome Dinner & introduction program. Day 02Early morning flight to Phaplu & Trek starts Today according to your flight time to Phaplu, we take pack breakfast or hot breakfast then transfer to airport & we check in domestic airport which takes 20 minutes away from the hotel you stay. Your half hour scenic mountain flight to Phaplu starts. We land at (2469m) Phaplu airport and we will have some tea/coffee & begin our trekking from Phaplu to Ringmo(2720m) passing view point of Mountain scenery of Numbur Himal, KaryaLung Himal and Khatang Himal, Ratnagi Danda(3000m), Chiwong Monastery. Recently almost flat and wide new motor road being built in Ringmo which is easy to walk. We will hike 4-5 hrs this road via (Sherpa Village) of Chiwong, Phera Village and then to Ringmo and stay overnight there. Food will be provided by our staffs and you will sleep at lodge. Ringmo is also a Sherpa village around 35 Sherpa families of 250 populations living in the village. Mainly people of these villages depend on agriculture/farming trekking and tourism. Day 03 RINGMO Trek to Phuleli (1500m) After breakfast you will start trek from Ringmo village to Takshindu La (2960m) which is slightly steep up One and half hrs and then you will go downhill (20 minutes) and reach to Taksindu Monastery, some lodges and shops and continue our walk to Nunthala(2194m) village 2hrs. Nunthala is small town here are lots of shops and lodges available because of main junction of Everest trek and camping overnight. We stop here for lunch and this is the place where I have grown up. My mother and brothers stays here. Nunthala is the place with different ethnic group like Sherpa, Rai Magar and Tamang with around total 600 populations. This place has high school (building built with the help of France Association), health post and electricity (Building built with the help of Italian Association), Electricity pole is built by Tara Foundation of USA. All those projects are brought by the help of people who visited Nepal while trekking. So, people of this place respects a lot to foreigner/tourist. We will visit this place. After lunch we start trek 1 hr to Phuleli and will stay overnight camping there at school. Day 05Taksindu to Sarkaripati (3430m): After breakfast you will continue trek uphill to Taksindu La half hrs and trek starts to Dudhkunda trail to North East direction. Where we will not see any houses or lodges for some days & fully camping trek starts from here. Along the Taksindu around one and half hrs we will walk easy way through forest with Blue Pine, Hemlock tree, Rhododendron trees and many other shrub herbs to reach Kerung Pati and then continue steep up to SarkariPati 2hrs via forest. Where we will stay here and have lunch, camp at same place. SarkariPati is the place with old sheltered house for Pilgrimage in the situation of damaged and broken as this is not in use now a day. Day 06Sarkaripati to Beni (3835m) After breakfast we will continue two hours uphill gently through the forest to Kamo Danda. After this place the tree line or forest line is finished where we will be at hills without tree. This place is the good view point of Mt. Everest, Thamserku, Kangtega and many other peaks. Now we will continue two hours our walk to flat and normal route to Janwle Khola and have lunch here. After lunch we will continue along tour via gently uphill and downhill three hours to Beni and will camp here. Day 07Day hike Dudhkunda(4560m) Today you will divide in two groups. Groups who are able to hike Dudhkunda, our staffs will prepare pack lunch for the hikers and will start hiking after breakfast and others who are not able to go Dudhkunda will have rest day at Beni and have hot lunch. Dudhkunda is also called as milky lake and the largest pilgrims of Hindus People of Nepal falls in July and August where once a year 100of peoples devotees come here for the holy prayer. Dudhkunda lake situated on the lap of Numbur Himal(is holy mountain),Karyalung and Khatang mountain. Day 09Yak Kharka to Taktor (2900m) After breakfast we step downhill 2hrs through Thupten chholing Gunba(2920m). This gumba is also known as Tibetan refugee camp established on 1960s by Trulshik Rinpoche where about 1000 monks and nuns (80% of them are Tibetan refugees) lives here after fleeing from Tibet in 1959. Monastery was built in 1968 on donated land and was reconstructed on 2001. We visit this place on morning on the way and continue to 1hrs walk to Junbesi and will have lunch here. Junbesi is the place with Sherpa’s beautiful village having several lodges, shops because of the junction of Everest trek in previous time. Now after the road construction from Kathmandu to Salleri less people pass through this route. Again we continue walk with slightly uphill, flat 2and half hrs walk to Taktoor and will camp here. Day 10Taktoor to Jasmane Bhanjhyang (3549m) Today after the breakfast the trail 1hrs slowly uphill through forest path with rhododendron trees, blue pine trees, Hemlock trees we continue to the path 2& half hrs steep uphill and reach to Pass (3500m) from where we can have panoramic view of landscape view, PK hill, Numbur himal range and then 2hrs slow walk to downhill to Jas Mane Bhanjhyang and will stay here at simple lodge with dormitory bed. Day 11Jashmane Bhanjhyang to Loding (2484m) Early morning after breakfast ascend 3& half hrs hrs to PK Hill top/PKII peak (4100m). From where you can view all the Everest range of mountains, Kanchangunja, Numbur Range Himalaya and return to our camp to Jasmane Bhanjhyang where we will have lunch and descend downhill 3hrs to Loding. 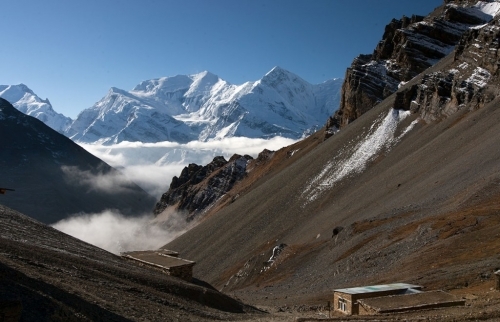 Loding is the place of Magars and Sherpa’s village in spread form. Day 12Loding to Phaplu Today after breakfast we will walk 1 hrs motor road until we cross Solu Khola bridge and after crossing bridge we will walk uphill 2 and half hours to Phaplu and will have lunch there. After lunch if you wish you may visit Salleri, headquarter of Solukhumbu district which is half an hour far from Phaplu. Salleri is town with many government offices, big markets, many well built houses and civilized people than in other mountain area while trekking. We will stay at lodge in Phaplu at evening end of trek our cook will prepare good food and have farewell party with staffs and the porters. Day 13Phaplu to Kathmandu by flight After breakfast in the morning you will forward to Phaplu airport to Kathmandu flight which will takes half an hour to reach Kathmandu. After your arrival in Kathmandu you will check in to your hotel and your day will be leisure day where you can do some shopping or whatever you like. Day 14Kathmandu Sight seeing Today after Breakfast you will start a guided tour to several historical and spiritual attractions in Kathmandu. Some of these landmarks are considered in world heritage sites, including the sacred Hindu temple of Pashupatinath, Patan Durbar square and Buddhists shrine Swoyambhu which is one of the large Stupa in the world which is also known as monkey temple. In evening you will have departure farewell dinner.